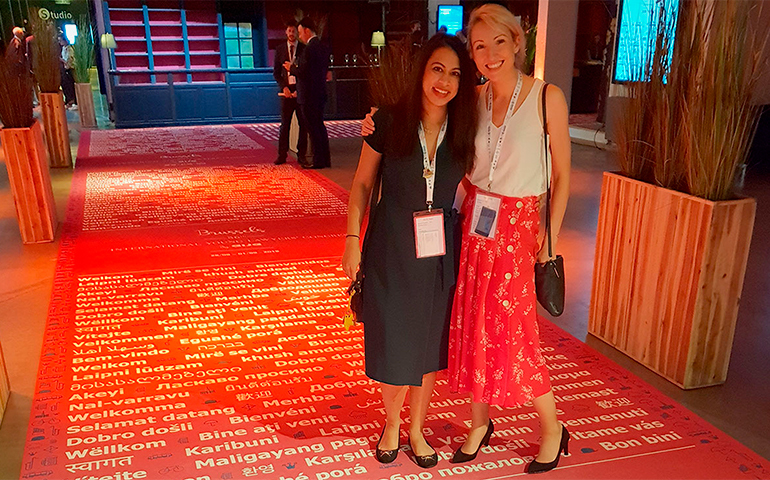 5 September 2018: CYK associates Kajal Patel and Rosie Wild recently attended the 56th annual International Association of Young Lawyers’ congress in Brussels, organised by AIJA. The over-arching theme of the congress was “Globalisation”, with the litigation session focussing on the resolution of international disputes, in an ever globalised world. 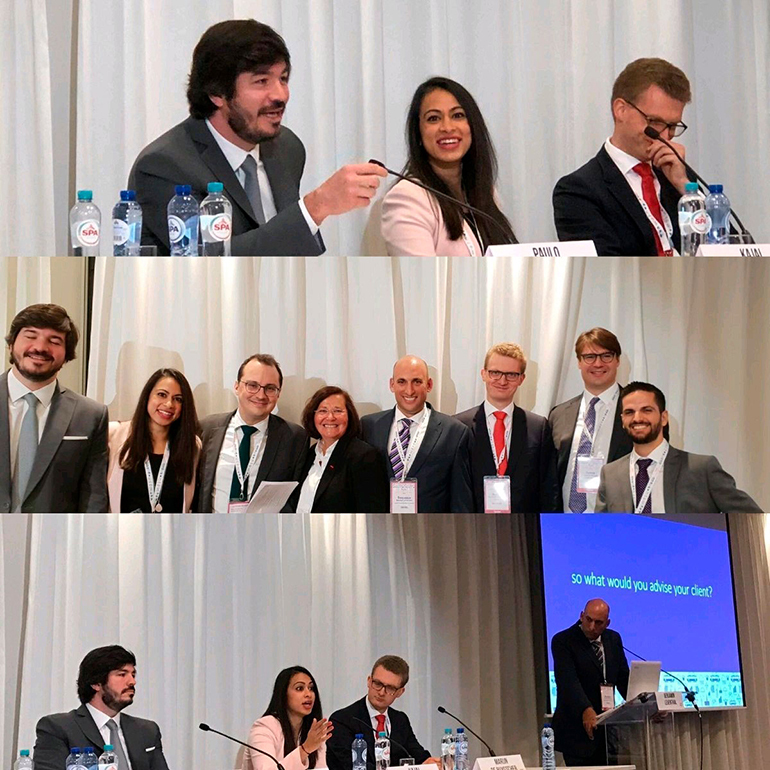 Kajal was invited to take part in a lively international panel debate alongside three other lawyers: Marijn De Ruysscher (Belgium), Paulo Nasser (Brazil), and Benjamin Leventhal (Israel) who moderated the discussion in which the panellists debated the best forum for the resolution of international commercial disputes. Having considered a mock case, the panel then debated the benefits and pitfalls of commencing litigation or arbitration, from both the perspectives of the fictional parties in the mock case and having in mind the different procedures applicable in common law and civil law jurisdictions. In relation to this, attendees at the litigation session also heard key-note speeches from Parisian Court of Appeal judge Fabienne Schaller and the head of the Parisian Bar, Marie-Aimée Peyron. Mrs Schaller spoke about the creation of the International State Chambers in Paris, how this would compare in terms of cost and expertise to other rival international Courts. The position of London in the international disputes market in a post-Brexit world was hotly debated throughout the course of the morning, including by Kajal and her co-panellists, who discussed whether the recent creation of international state chambers would affect the advice provided to clients in the future. It was well-received session, attended by over 150 lawyers from across the world and which provoked lively topics of discussions, which continued to be explored during the remainder of the conference.